The recession has displaced many bright, creative folks in the construction industry. Necessity being the mother of invention, many workplace refugees will start their own small businesses, whether it be in contracting, design, or sales. These new businesses will take many forms, including sole proprietorships, corporations, limited liability partnerships, and limited liability companies. The mere thought of forming a business entity can be daunting–even paralyzing–to those new to the world of small business. There is always the “do nothing” option of operating as a sole proprietorship. If two or more people are involved, and no separate legal entity has been established, the law will treat the business as a partnership. Be warned: Doing business as a sole proprietorship or default partnership is like walking a tightrope for the first time without a net. If anything goes wrong, the sole proprietor or partner is personally on the hook, and his or her house, car, boat, furniture, cash and other personal assets will be tempting targets for creditors. Once you have made the decision to form a business entity, you must then decide what type of business entity best suits your needs. In many cases, the LLC (shorthand for “limited liability company”) will provide a good structure for a new business. LLCs have become the entity of choice for small businesses because they combine the benefits of a corporation, where owners have limited personal liability for the debts and actions of the LLC, with the benefits of a partnership, including management flexibility and the benefit of pass-through taxation. The LLC is, in essence, a hybrid business entity that is particularly well suited for upstart businesses. As of January 2009, the North Carolina Secretary of State reported over 200,000 active LLCs in the state. LLCs are owned by “members.” Under North Carolina’s Limited Liability Company Act, members may include individuals, corporations, other LLCs and foreign entities. 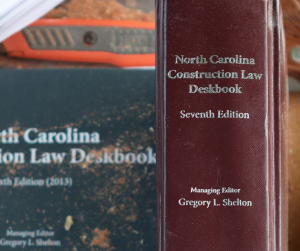 North Carolina also permits the formation of LLCs having only one owner. I have broken down the tasks necessary to form an LLC into eight steps. While it is possible to form an LLC without completing steps three through seven, I have included them because I am assuming your goal is to start a viable business that complies with applicable laws and regulations. If you lack the time or patience to set up your own LLC, some law firms perform “turn key” LLC formation services, often costing less than $1,000 for LLCs that do not require a complicated operating agreement. Step One: Come up with an appropriate name for your LLC. As a general rule, the name should describe your products or services without reaching for undeserved grandiosity. For a local lawn maintenance company, “Mary’s Lawn Maintenance of Charlotte, LLC” is better than “Global Lawn Consultants, LLC.” Next, check the North Carolina Secretary of State’s online search engine www.secretary.state.nc.us/corporations/CSearch.aspx to verify that the name is not being used by someone else. Step Two: File your LLC’s “Articles of Organization” with the Secretary of State along with the $125.00 filing fee. A fillable PDF Articles of Organization form, with accompanying instructions, is available online atwww.secretary.state.nc.us/corporations/thepage.aspx. You must “check the box” to select either a “member managed” or “manager managed” LLC. The “member managed” option is appropriate for most seedling LLC’s because the members run the day to day operations of the business. You must also designate a “registered agent” to receive legal papers on behalf of the LLC. While you can serve as the LLC’s registered agent, many LLCs delegate the task to a lawyer or to a private service for a small annual fee. Step Three: Prepare and sign an “operating agreement.” The operating agreement is similar to the by-laws for a corporation or the partnership agreement for partnerships. The operating agreement constitutes the contract between the members of the LLC that establishes the members’ respective contributions and ownership interests and establishes the procedures for voting, daily management, the allocation of profit and loss, and other matters. Operating agreements frequently contain “buy-sell” provisions, which determine the procedure for buying out a departing member’s interest in the LLC. As a general rule, LLCs, including single-member LLCs, should have an operating agreement in place. Otherwise, your LLC will be governed by the default rules set forth in the North Carolina Limited Liability Company Act. Step Four: Apply for and obtain an Employer Identification Number (EIN) using the IRS’ online application form. Banks will require an EIN to open an account for the LLC. Also, contact the North Carolina Department of Revenue to apply for and obtain a state privilege license and a state sales tax number (for the purpose of tracking sales tax). Step Five: Open a bank account the name of the LLC. The account should be opened in the exact name of the LLC (including the “, LLC” ending) and the signature card should reflect the signatory’s status as “member” or, if applicable, as “manager.” Absent extraordinary circumstances, the account should never be owned jointly with another person or company. To preserve the “limited liability” protection afforded to members, the account should be used solely for LLC business and never used for the personal expenses of the members. Step Six: Get a handle on taxes. This is one area where an experienced attorney or accountant may save you a lot of grief. In a nutshell, single-member LLCs are “disregarded” by the IRS for tax purposes, and LLC income expenses are reported on the individual’s Form 1040 Schedule C, E or F. Multiple-member LLCs are taxed as partnerships using Form 1065. Although an LLC may elect to be taxed as a corporation (Form 8832) or, in some cases, a Subchapter S corporation (Form 2553), an attorney or accountant should be consulted before making such an election. Unless you are a glutton for punishment, leave tax returns and other accounting matters to an accountant. Step Seven: Check with your local jurisdiction on licensing and fees. For example, if your LLC will conduct business in Mecklenburg County, contact the appropriate governmental agencies and file the necessary paperwork. All businesses must obtain a “privilege license” to conduct business in Mecklenburg County. Assumed names (d/b/a’s) must be registered with the Mecklenburg County Register of Deeds, phone number (704) 336-2443. The fee for recording a one-page assumed name document is $14.00 for the first page and $3.00 for each additional page. Businesses must list property for personal property taxes with the Mecklenburg County Business Listing Department, phone number (704) 336-6382. Contact the zoning department, phone number (704) 336-3569, to determine whether your LLC is operating in conformity with zoning regulations. Step Eight: File annual reports with the Secretary of State along with the $200 filing fee. For an additional $2.00, annual reports may also be submitted online with the Secretary of State. Congratulations! You are now the proud member of an LLC. Your next task is to provide goods or services that will benefit your customers and make their lives better. Through effort, ingenuity, and a good reputation in the community, your LLC will take root and grow steadily over time. This Blog/Web Site is made available by the lawyer for educational purposes only as well as to give you general information about legal issues, not to provide specific legal advice. By using this blog site you understand that there is no attorney client relationship between you and the Blog/Web Site publisher. The Blog/Web Site should not be used as a substitute for competent legal advice from a licensed professional attorney in your state.